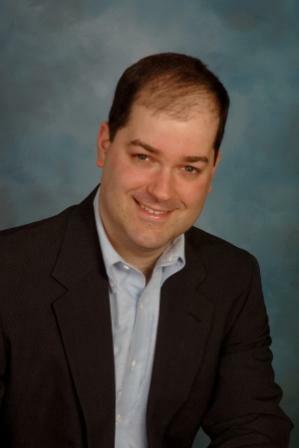 Dr. Jason Rosenhouse "Among the Creationists"
Dr. Jason Rosenhouse is an associate professor of mathematics at James Madison University in Virginia. 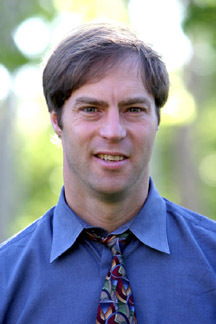 In his spare time, he enjoys engaging in the debate over Creation vs. Evolution and has even written an interesting book about his experiences visiting creation events around the United States entitled, "Among the Creationists." 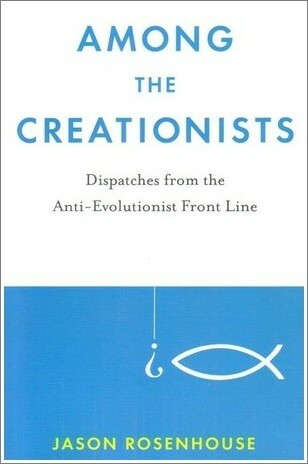 I personally enjoyed reading this book very much, and found it to be very similar to my own experience discussing this topic with both creationists and evolutionists alike. Most on both sides of this issue simply aren't very well informed about arguments from the opposing side, or even from their own side of the debate. I think reading about these experiences is helpful, for those on both sides of this issue, to at least start to understand how much we seem to be talking past each other, and to understand the mindset and motivations of those within opposing camps. I was asked to read Rosenhouse's book by Harry Allen, a radio host for "Nonfiction", the on-air magazine of the arts, ideas, and fact in New York (airs Fridays, 2-3pm, on WBAI-NY/99.5 FM (wbai.org), flagship of the non-commercial Pacifica radio network). He wanted me to have an on-air debate with Dr. Rosenhouse regarding his book and the Evolution/Creation debate at large and why I'm involved with this debate and have written my own book, "Turtles All the Way Down." So, on Friday, January 17th, we did just that (see Link below). When I first started reading, "Among the Creationists", I thought the book was going to be more about the problems with standard Creationist arguments, and the rational scientific reasons why evolution had to be true in light of these arguments. I was especially intrigued by the fact that Dr. Rosenhouse is a mathematician and the cover to the book explained that creationists get into real trouble whenever they start to get into a discussion with Dr. Rosenhouse within his own field of expertise - i.e., mathematics/probability arguments for intelligent design. However, as I read through the book, I was disappointed to discover that Dr. Rosenhouse had not included a single mathematical/probability argument in favor of the creative potential of the evolutionary mechanism of random mutations and natural selection. 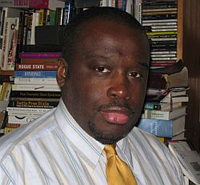 In fact, as is almost always the case for modern neo-Darwinists, he claimed, in his book and during our debate, that the modern Theory of Evolution is not dependent upon mathematical arguments or statistical analysis at all - at least with regard to the creative potential of random mutations and natural selection. In this, he seemed to argue that his own field of expertise is effective irrelevant to the discussion - that, "It is the wrong tool to use." Beyond this, he also explained that he wasn't a biologist or a geneticist and that any discussion of biology would require bringing in someone with more expertise and knowledge of the field of biology than he had. At this point I began to wonder why we were having a debate at all if his own field of expertise was, according to him, effectively irrelevant to the conversation and that he was not prepared to present arguments from biology or genetics regarding the main topic at hand - i.e., the potential and/or limits of the evolutionary mechanism of random mutations combined with natural selection. Perhaps this is the main reason why Dr. Rosenhouse started to get rather irritated and flustered in the second half of our debate when I started asking him to explain how the evolutionary mechanism could reasonably and predictably do what he claims it did - i.e., actually come up with new functional systems beyond very low levels of functional complexity. In order to do this, of course, the evolutionary mechanism would have to get across an extremely vast ocean of non-beneficial sequence options at these higher levels of functional complexity in order to somehow find the very very rare beneficial islands or "steppingstones" in an otherwise very empty and very large ocean (i.e., many times larger than the size of our entire universe). How could these extremely rare beneficial steppingstones actually be discovered in a timely manner? After all, as I explained during our discussion, the ratio of beneficial vs. non-beneficial sequences decreases, exponentially, with each increase in the level of functional complexity of the protein-based system in question - an observation that holds true for every language/information system that is known to us (to include the English language system, Russian, German, Italian, Morse Code, computer code, DNA codes, etc.). Given this exponential decline in the ratio of beneficial vs. non-beneficial, how then can random mutations continue to find, via a truly random search algorithm, new qualitatively novel beneficial sequences at higher and higher levels of functional complexity within what anyone would consider to be a reasonable amount of time? "Because the very rare beneficial steppingstones are not randomly scattered around Lake Superior, but are lined up in a straight line one right after the other, it is easy to cross the lake from one shoreline to the other along a path of closely spaced steppingstones..."
It is in this way, Rosenhouse argued, that one can walk from one side of a massive lake or ocean, regardless of its size or the overall rarity of steppingstones, all the way to the other side without having to get into the water and blindly swim around randomly in an effort to try to find another steppingstone. Therefore, the most important concept to understand is not the rarity of the steppingstones, but "how they are arranged in sequence space". 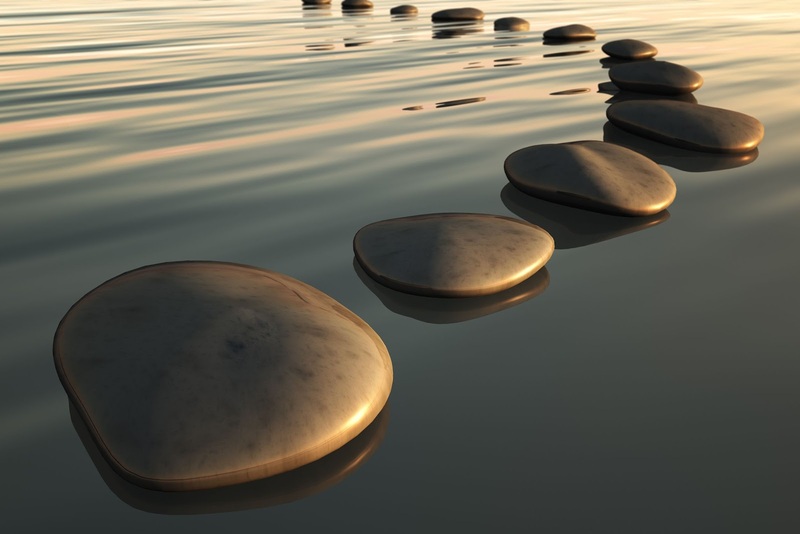 So, it's the arrangement of the beneficial steppingstones, not their rarity, that is key to understanding the creative potential of the evolutionary mechanism. That is why such statistical arguments having nothing to do with understanding the potential and/or limits of the evolutionary mechanism - according to Rosenhouse. This is a great argument! Why didn't I think of it before? After all, this proposal does actually solve, quite nicely, the statistical problems for the evolutionary mechanism. In fact, it's such a neat solution to the problem that it seems downright obvious - especially from the perspective of a mathematician who has apparently had little exposure to the real world of biology or genetics. Given some understanding of the real world of proteins and how the rare beneficial or even stable sequences are actually distributed in sequence space, one starts to see the real problem for Rosenhouse's hypothesis - i.e., it just doesn't match the real world. Unfortunately, science isn't just based on hypotheses and theories that work well on paper. It is based on theories that actually represent empirical reality in a testable potentially falsifiable manner. Now, it isn't that Rosenhouse's hypothesis isn't testable. It is testable. The problem is that it fails the test. It simply doesn't represent reality. In the real world that exists outside of Rosenhouse's very neat imagination, the distribution of potentially beneficial, or even stable, protein sequences with sequences space is known by experimental observations. And, contrary to Dr. Rosenhouse's wonderful solution to the problem, the distribution of real beneficial protein sequences is not a linear distribution, but a random, effectively uniform, distribution that becomes more and more so with each step up the ladder of functional complexity. At higher and higher levels of sequence space, as the total number of protein sequences within the space grows exponentially, the ratio of potentially beneficial vs. non-beneficial sequences decreases exponentially - and the distribution of these more and more rare beneficial steppingstones becomes more and more uniformly random in appearance. It's much like stretching a sticky sheet until it starts to get holes in it. As the sheet stretches, the holes get exponentially bigger relative to the remaining material of the sheet. 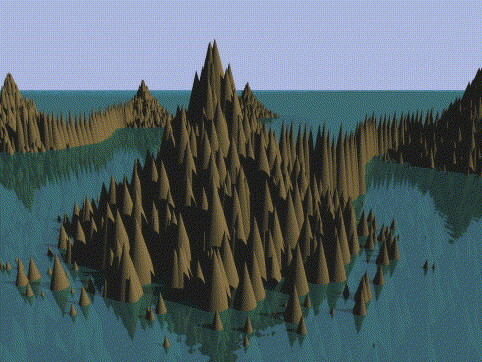 Pretty soon, the bridges between areas of fabric start to break down and fall apart, leaving truly isolated islands of fabric (or "steppingstones") that are not connected to any other island (for a more detailed discussion of this particular problem see: Link). That, in a nutshell, is the fundamental problem for the theory of evolution - it's mechanism simply isn't capable of going beyond very very low levels of functional complexity this side of a practical eternity of time (trillions upon trillions of years). And, the reason for this is the exponential decline in potentially beneficial options that random mutations are capable of evolving in a given span of time, combined with the non-linear or non-clustered distribution of these potentially beneficial sequences within sequence space. Stephen C. Meyer, “The Cambrian Information Explosion,” Debating Design, pg. 388 (Dembski and Ruse eds., Cambridge University Press 2004). What's left at this point is very frustrating for evolutionists because, without a viable mechanism, pretty much all there is to prop up neo-Darwinism are what Rosenhouse referred to in our discussion as "circumstantial evidence" (35:34 in the discussion), to include the very popular argument that complex biomachines (like the human eye or the bacterial flagellar motor) are poorly designed and are full of "flaws" - that no one, certainly no omnipotent God, would have designed these machines with so many obvious flaws. However, as far as I see things, the main problem with the "design flaw" arguments is that these arguments don't really have anything to do with explaining how the evolutionary mechanism could have done the job. Beyond this, they don't really rule out intelligent design either because, even if someone could make it better, that doesn't mean that an inferior design was therefore not the result of deliberate intelligence. Lots of "inferior" human designed systems are none-the-less intelligently designed. Also, since when has anyone made a better human eye than what already exists? It's like my four year old son trying to explain to the head engineer of the team designing the Space Shuttle that he and his team aren't doing it right. I dare say that until Dr. Rosenhouse or Richard Dawkins can produce something as good or better themselves, that it is the height of arrogance to claim that such marvelously and beautifully functional systems are actually based on "bad design". Finally, of course, there is the standard argument that intelligent design isn't science because it produces nothing useful - i.e., no useful predictions. Does this mean that SETI science isn't a real scientific enterprise? What about anthropology or forensic sciences, which are based on the scientific ability to detect deliberate design behind various artifacts found in nature? How then is it any different to apply the very same arguments used to detect design in these various modern scientific disciplines in a universal manner? And, if artificial features are also found within the DNA and/or protein-based systems of living things, so be it! 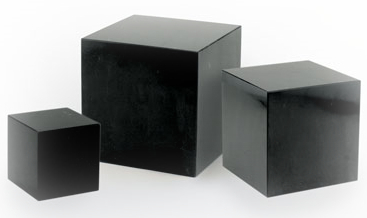 How long does one have to look for a mindless natural mechanism to explain something like a highly symmetrical polished granite cube, even if found on an alien planet like Mars, before it is recognized as a true artifact of intelligent design? - regardless of if this conclusion is deemed to be "useful" or not by this or that mathematician or scientist? In this light, consider the fairly recent confirmation of a long-standing prediction of intelligent design regarding the likely key functionality of portions of non-coding or "junk-DNA". As it turns out, the more and more research that is done on non-coding DNA (DNA that does not code for proteins), the more and more functionality is being discovered. Such discoveries simply weren't predictable from the Darwinian perspective where many, such as Richard Dawkins in particular, had argued that non-coding DNA was evolutionary garbage or remnants of past trials and errors. In contrast, those favoring the intelligent design or even the creationist position had long argued that at least some proportion of non-coding DNA probably had beneficial functionality to one degree or another. And, it turns out that the predictions of intelligent design have proved true. It seems like protein-coding genes are like the bricks and mortar for a house while the blueprint for what type of house to build resides within the non-coding DNA. Along these lines, many creationists have highlighted the fairly recent published claims from the ENCODE human genome project. In 2012, the science journal Nature published a very interesting news item (ENCODE: The human encyclopaedia, Sept 5, 2012). This article reported on the ongoing human genome project called the "Encyclopedia of DNA Elements" or ENCODE project. The scientists at ENCODE made a very startling, and very controversial, claim - that at least 80% of our genome is functional to one degree or another! Of course, many scientists have responded rather strongly against this 80% functionality number (Link). And, the truth of the matter is that, while non-coding DNA probably does represent the blue print for higher organisms, directing how protein-coding DNA functions to a significant degree, this does not necessarily or even likely mean that most non-coding DNA is actually required - or even useful. After all, some ferns and salamander have genomes the same size or smaller than the human genome, and other ferns and salamander have genomes 50 times the size of the human genome (the human genome is comprise of ~3.5 billion bases). For additional comparisons, consider that a chicken's genome contains about 1.3 billion bases, a clam about 3.2 billion, some frogs have 6.5 billion, and a lady bug genome has about 0.3 billion (~300 million) bases - similar to the genome of a Japanese pufferfish which is 8 times smaller than the human genome (just 385 million base pairs compared to 3 billion base pairs for humans), yet does just fine. 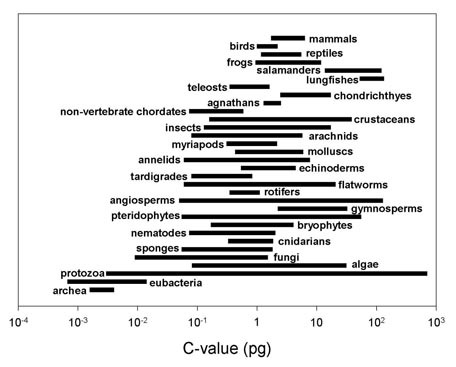 It is clearly impossible to guess the genome size of an organism just by looking at its apparent "complexity" or "simplicity" or the number of protein-coding "genes" in the genome - which doesn't seem to correlate with the overall size of eukaryotic genomes. This curious fact is currently known as the C-value enigma. The onion test is a simple reality check for anyone who thinks they have come up with a universal function for non-coding DNA. Whatever your proposed function, ask yourself this question: Can I explain why an onion needs about five times more non-coding DNA for this function than a human? The onion, Allium cepa, is a diploid (2n = 16) plant with a haploid genome size of about 17 pg. Human, Homo sapiens, is a diploid (2n = 46) animal with a haploid genome size of about 3.5 pg. This comparison is chosen more or less arbitrarily (there are far bigger genomes than onion, and far smaller ones than human), but it makes the problem of universal function for non-coding DNA clear. Further, if you think perhaps onions are somehow special, consider that members of the genus Allium range in genome size from 7 pg to 31.5 pg. So why can A. altyncolicum make do with one fifth as much regulation, structural maintenance, protection against mutagens, or [insert preferred universal function] as A. ursinum? However, there is the problem of the expense of maintaining stretches of DNA for long periods of time that don't provide any useful advantage to the organism. Such maintenance might seem to be fairly expensive if there is no return on the investment. The counter argument, as presented by Dr. Nick Matzke, is that such maintenance really isn't very expensive at all relative to the other costs that the organism must pay. What's a few pennies here and there when you're spending thousands of dollars every day? Well, over millions of years a few pennies here and there might seem to add up to quite a lot. And, in a dog-eat-dog world, this could make all the difference. To add to the credibility of this observation, consider a paper by Holloway et al. (2007) where the authors observed a significant survivability cost disadvantage in various environments for bacteria that carried extra non-beneficial copies of DNA (Link). However, the argument is that the cost is much higher for single-celled organisms compared to multi-celled organisms - like most eukaryotes. In this line, consider In 1980, two papers published in 1980 by Orgel and Crick (Link) and by Doolittle and Sapienza (Link) which that "selfish DNA" elements, such as transposons, essentially act as molecular parasites, replicating and increasing their numbers at the relatively slight expense of a host genome - so slight that natural selection simply can't keep up with the rate of expansion of these self-replicating elements within the genome. This isn't all, of course. There are times when the actual specificity of the sequence matters as well - and this is what has also been discovered about non-coding DNA. 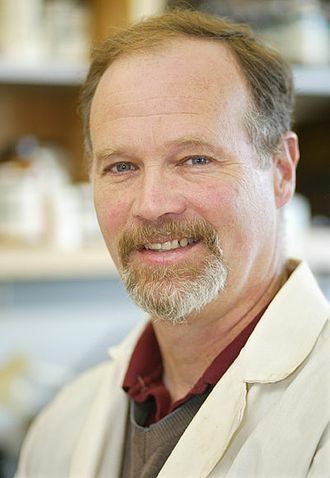 It appears to be the blueprint that controls how the building blocks (i.e., the protein-coding genes) are used. In other words, non-coding DNA does seem to be more important than the protein-coding genes themselves. It seems, for instance, that it is the non-coding DNA that determines if a mouse or a pig or a monkey or a human is to be built given a set of very similar protein-coding genes for each of these types of creatures (for further discussion of this topic see: Link). "I think this will come to be a classic story of orthodoxy derailing objective analysis of the facts, in this case for a quarter of a century," Mattick says. "The failure to recognize the full implications of this particularly the possibility that the intervening noncoding sequences may be transmitting parallel information in the form of RNA molecules - may well go down as one of the biggest mistakes in the history of molecular biology." Wayt T. Gibbs, "The Unseen Genome: Gems Among the Junk," Scientific American (Nov. 2003).